Simply put, a travel agent adds value thanks to experience, connections, access and assurance. 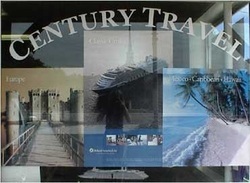 ​The firsthand experience of a travel agent is second to none. Agents have been there, done that and will give you the best advice on how to get the most out of your trip. The connections an agent has are key to providing you with a memorable holiday experience. Agents use their travel industry connections around the globe to carefully customize itineraries that reflect the personality and travel goals of each client. These connections allow agents to add considerable value through securing the best rooms and rates available, providing complimentary room upgrades, snagging hard-to-get reservations, and providing access to private guides and concierge services. Agents take into consideration your preferences, likes, dislikes, special needs, and will create a journey customized to you. Let the experts handle the logistics so you can enjoy every moment of your travel experience. Even though most agents charge a fee, travel agents can save you money by leveraging their relationships with travel suppliers. Stuff happens! Travel agents help you when travel mishaps occur. Miss your plane and need to make a new connection? Your travel agent is the one person on whom you can rely to sort through the muck and get you to where you need to be.